Danish company CeramicSpeed has developed what could be the world's most efficient bicycle drivetrain and has built a prototype to prove it. The bike part manufacturer is one of the winners of this year's Eurobike Award with Driven, a drivetrain concept it developed together with the mechanical engineering department at the University of Colorado. The Driven drivetrain has no chain or derailleurs, making it more than 99 per cent efficient. This means almost none of the power generated by a rider's legs is lost. In contrast, CeramicSpeed's system is connected by a carbon-fibre shaft, which turns 90 degrees from the rear wheel and pedals. On either end of the shaft are 21 low-friction ceramic bearings, which transfer torque from the rider's pedalling through the drive shaft and onto the rear cog. "CeramicSpeed has proudly accomplished what many have said couldn't be done," said CeramicSpeed CTO Jason Smith. "We've achieved a 99 per cent efficient multi-speed drivetrain while eliminating the chain and complex rear derailleur." "Advancements in drivetrain technology have been evolutionary since the 1920s. Driven is truly revolutionary given its unique rolling element power transfer and unmatched efficiency," he continued. 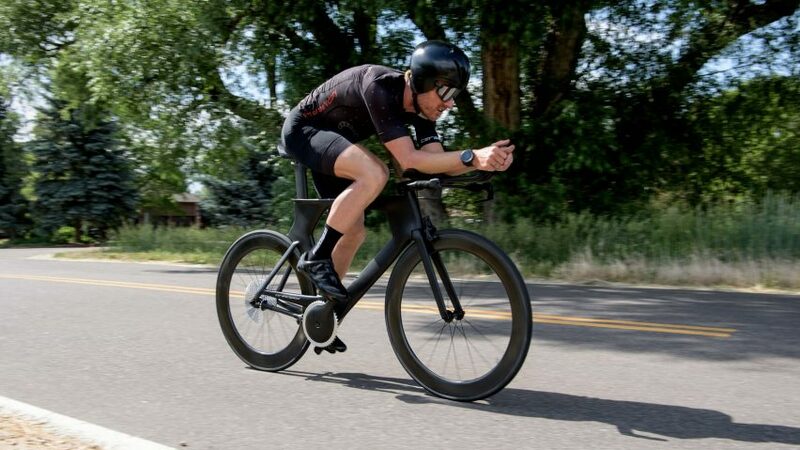 "The Driven concept has the ability to change the way the cycling industry views drivetrain design and drivetrain efficiency." Other recent developments in bicycle design include VanMoof's high-security Electrified models and Hummingbird's ultra-light foldable bike.